Sparkly Runner: Gifts for Runners: Splurges & Steals! With only five days until Hanukkah and just 13 days until Christmas, time is slowly running out to locate that perfect gift for the special runner in your life! Maybe you want to help them celebrate their accomplishments or perhaps give them something that can help take their training to the next level. Whatever your runner needs, here's a list of splurges and steals- something for every budget. Ok, so I personally have not tried the foam roller YET, but I'm hoping that Santa leaves one under the Christmas tree for me this year! From Runner's World, "Using a foam roller can provide similar benefits as deep-tissue massage, helping to prevent injury and improve performance through the increase of flexibility and decrease of muscle tension." Splurge: I haven't tried this but have heard that it works wonders! Rumble Rollers range in price from $25 for a massage ball or $30- 70 for an actual roller. You can find the closest retailer to you here. 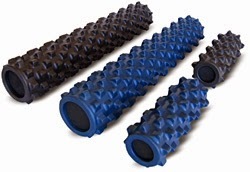 These look slightly scary but are probably great for sore muscles. Source. 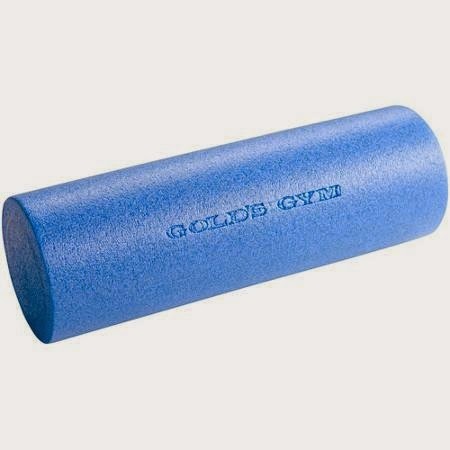 Steal: For just $14.77 you can own this Gold's Gym Foam Roller, available at your local Wal-Mart. Blue is always a good choice. Source. Every runner needs a medal rack to show off their bling! There are tons of different types and styles out there, from funny to inspirational and everything in between. Matthew and I have ordered racks from both companies below and were completely impressed with the quality of the items. Splurge: Ranging from a single medal holder ($22) from one with room for 10 medals ($40- 130), Sport Hooks has beautiful and unique designs to celebrate any athletic accomplishment. 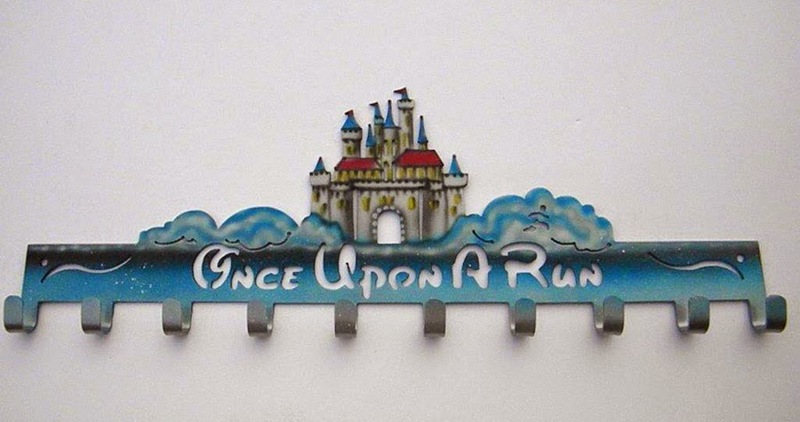 If your runner is a run Disney fan, this is the definitely the place to look! Some models are offered in color. Source. Steal: Starting at $30, York Sign Shop's medal racks are simple and functional. You can even add on an extra row of hooks to almost any design for just $5. 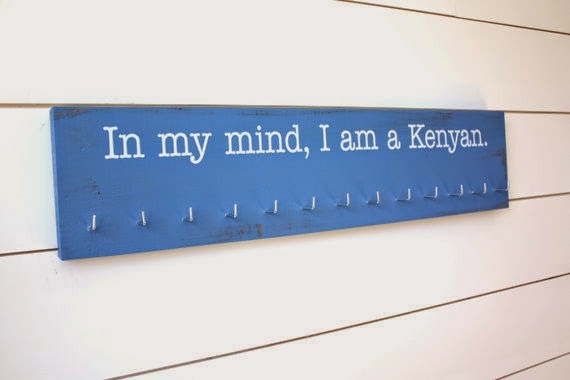 We have two of these types of medal racks- each one holds up to 26 medals! These are affordable customization options as well. I bought this exact one for Matthew for his birthday. Source. If you've got a special runner in your life, then you know it's all about the numbers: pace, distance, heart rate, etc. Using different technologies- like a GPS watch or a running mobile app- runners can easily keep track of their all-important numbers and progress towards training goals. 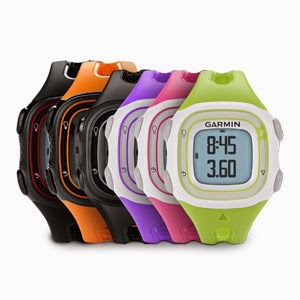 Splurge: A Garmin Forerunner is one of the leading GPS watches for running. Ranging from $100- 450, they offer a variety of features based on the model type. All offer distance and pace but some offer live tracking, training plans, sharing on social media, and heart rate. Steal: Does your runner always run with her phone? 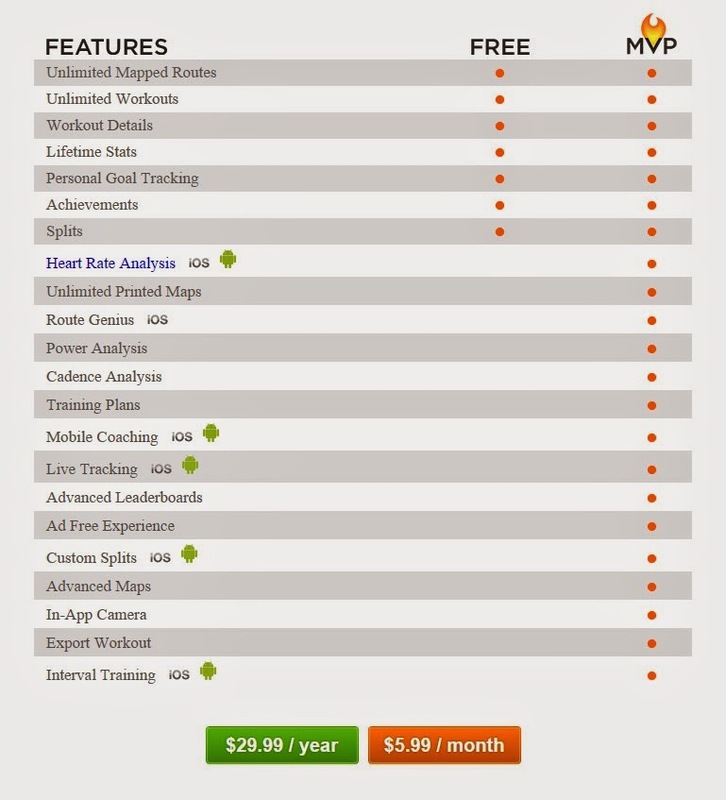 If so, purchasing the MVP package of the free app Map My Run might be the perfect gift! The free version tracks distance, pace, and splits. But for $5.99 per month/ $29.99 per year, the upgraded package also can track heart rate, provide coaching and training plans, and allow others to track using the live tracking feature. I don't know what a power analysis is but I want one! Source. If all else fails, a gift card to Running Warehouse is always a hit! One of the largest online selections of running apparel and shoes coupled with FREE two day shipping and a 90 day return policy (even on worn shoes!) makes this a fool-proof gift for even the pickiest runner in your life. Matthew and I have both ordered from this company and are big fans of the easy, no hassle return process. I especially like the "Shoe Fitter" which compares different brands and helps you find the correct sized shoe in various brands. Regardless of budget, I hope you can find that one-of-a-kind gift that will make your runner's heart happy this holiday season. Happy Holidays and happy shopping! QOTD: What's on your wish list this year? Great post Sarah. Not everything we use has to be top of the line. The local medal hanger is cute too! Thanks! I like to find deals when I can- that way I have more money for races! Matthew just got me another hanger from York Sign Shop that says "This happened." I love it! They are great! That looks interesting! It also looks kinda painful-ha!